Managing directories full of gigabytes of ZODB blob data (for example, on Plone websites) can become cumbersome. It became a persistent problem on the Washington Trails Association's website, where by the summer of 2017 member contributed photos added up to 750 GB of blob data, growing by a few GB a day. 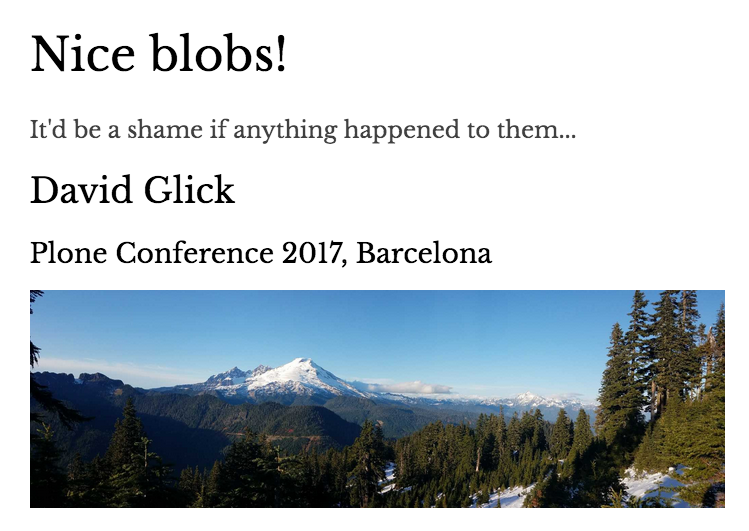 In this talk, David introduces collective.s3blobs, a newly developed tool making it possible to offload selected blobs to cloud storage on Amazon S3. He explains how it works, how to set it up, and how to tell if it is the right solution for you.